Rejected by FOUR Premier League players with transfer fee's agreed. What is going on at Chelsea? 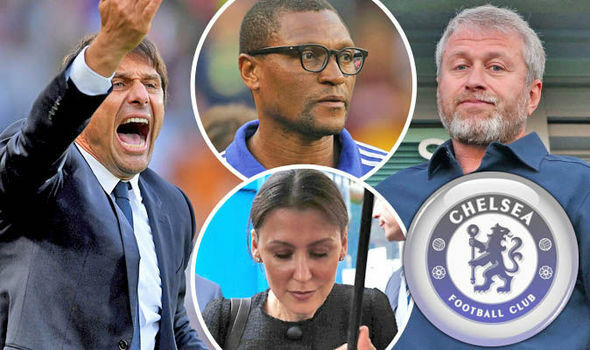 In this summer window, according to various reports, Chelsea have missed out on FOUR of their transfer targets as each player rejected a move to Stamford Bridge after a fee was reportedly agreed between the clubs. Questions must be asked as to what is going on. Make of it what you will but if you believe the press and the media coverage of Chelsea's transfer business (not including the players we have signed - more on those in another post just published at the same time - Link below), Chelsea have had a nightmare window and have missed out on FOUR of what have been reported to be Antonio Conte's transfer targets. Now what is important to remember here and it's worth noting that it is ALWAYS the case, there has been no official word from Chelsea on any of these reported targets. The club chooses to make statements when there is transfer business to speak about but only when it's officially confirmed. They will not comment or get involved in rumours of any kind. However, if you are to believe those press and media reports over the past few weeks then it appears that Chelsea have missed out on the signing of Romelu Lukaku, Alex Oxlade-Chamberlain, Fernando Llorente and Ross Barkley. All four of these players were free to speak with Chelsea after fees were agreed between Chelsea and their clubs ahead of a possible move. For one reason or another, each one of these players decided against signing for Chelsea and, apart from Ross Barkley - which I believe it not to be as straightforward as people are making out last night, all signed for other Premier League clubs who happen to be our rivals for the top four / title race according to live sports betting sites. Again, if these reports are true then someone needs to be called to question and give an explanation as to what has happened and why on earth we cannot complete these deals when all the hard work seems to have been done in order for their clubs to be willing to release them to us? Why on earth would these players turn down a chance to move to the current Premier League champions? Why on earth would they reject the chance to play for Antonio Conte who is a born winner and had such a massive impact on our football last season? Why on earth would they want to reject a chance to join one of the most successful clubs in this country over the last decade? Now, on the flip side, we have to look at the bigger picture here and wonder whether or not these four players would have broken into our first team when Antonio Conte has everyone fit? The only player I could see stepping straight in would have been Romleu Lukaku (at the time) because at that point we had not signed Alvaro Morata. Would Fernando Llorente have walked into the team? No. Would Oxlade-Chamberlain have walked into our midfield and the position he wants to play in? No. Would Ross Barkley do the same and walk into our first team? No. We need to look at the whole situation here. Questions MUST be asked if these were Antonio Conte's targets and we could not get them over the line for whatever reason. But, will these four deals make a massive difference to us as we move forward this season? Now time to focus on the positives of this window. Click the post link below.